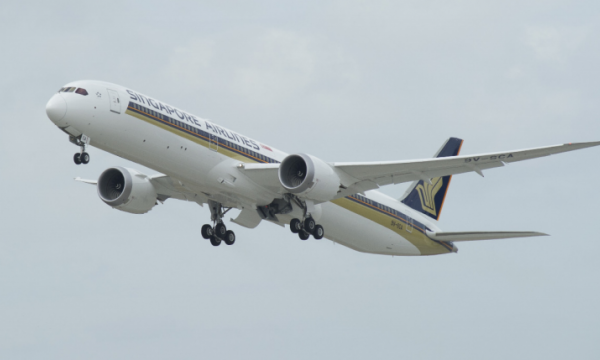 Singapore Airlines’ (SIA) passenger load factor (PLF) grew 0.3 ppt to 85% in December, an announcement revealed. On a MoM basis, SIA’s PLF improved 1.1 ppt to 85.5%. Passenger carriage measured in revenue passenger-kilometres) grew 7.2% YoY, outpacing capacity (measured in available seat-kilometres) injection of 6.8%. SIA revealed that PLF improved for all route regions except Americas due to significant capacity growth. Meanwhile, SilkAir’s system-wide passenger carriage rose 2.1% against a capacity contraction of 1.1%. Consequently, PLF increased 2.6 ppt to 79.2%, with improvements across all route regions. Scoot saw a passenger carriage growth of 10.5% compared to capacity expansion of 14.7%, which led to a 3.2 ppt decline in PLF to 85.5%. PLF improved for West Asia, whilst East Asia and the rest of world recorded declines as traffic did not keep pace with the increases in capacity. The group’s cargo load factor (CLF) was 3.5 ppt lower, with cargo traffic declining 5% against marginal capacity growth of 0.3%. All route regions registered declines in CLF except Americas, as demand did not keep pace with capacity changes.